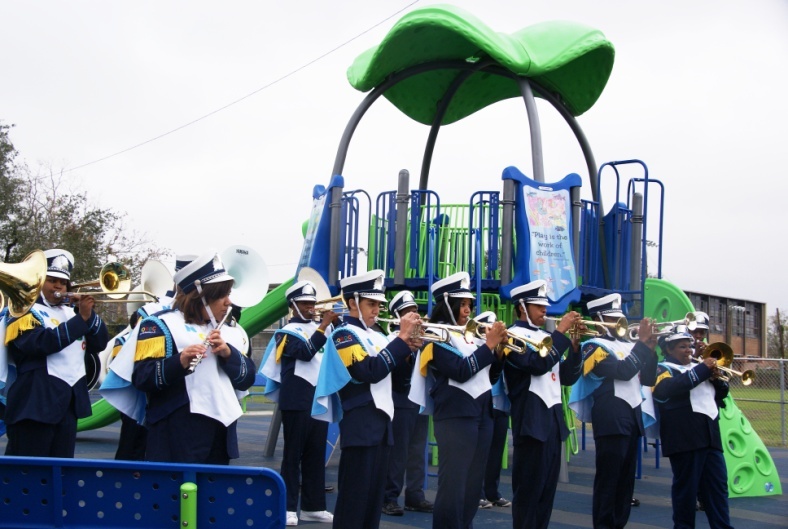 The ribbon cutting pictured above marked the completion of the 7th playground build in New Orleans to create safe places for child children affected by Katrina to play. 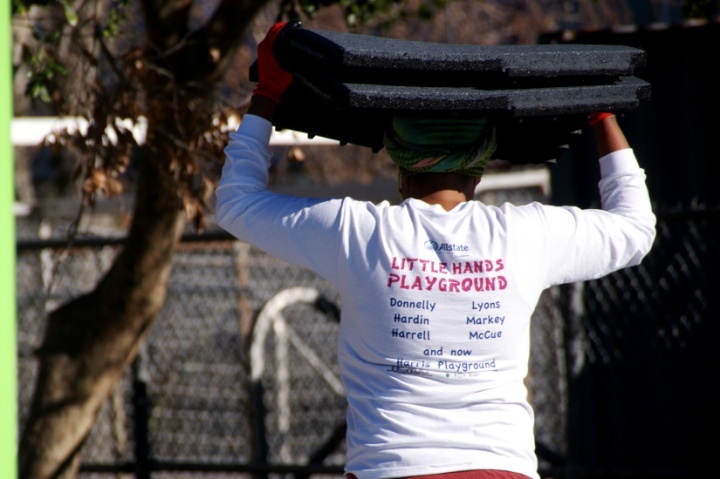 The newly built "Little Hands" playground is a celebration of the work completed by Injury Free, The Allstate Foundation, The City of New Orleans, The New Orleans Park District, Little Tikes, and many others in conjunction with the neighborhood residents where the playgrounds are located. 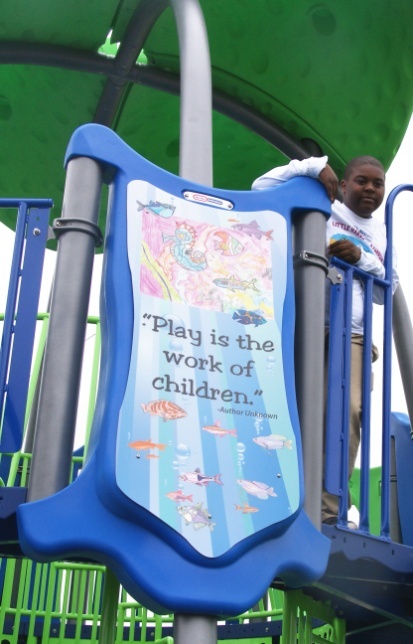 The playground is the first to contain artwork completed by children of New Orleans. Four panels of a climber called the Jellifish contain pieces of art drawn by students of Parkview Elementary School. They were winners of an art contest held prior to the manufacturing of the equipment. 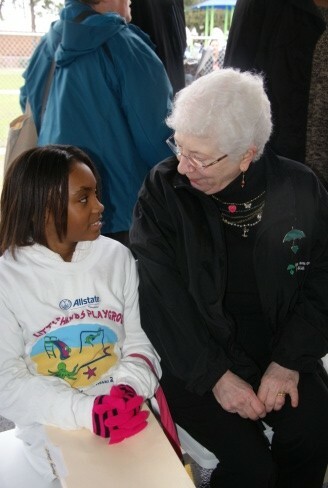 The playground dedication ceremony was emceed by Actor and Allstate Spokesperson Dennis Haysbert. 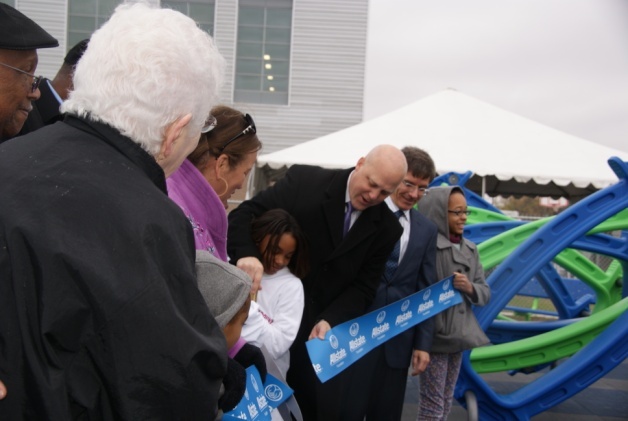 Among those present were New Orleans Mayor Mitch Landrieu, Allstate Corporation President and CEO Tom Wilson, Councilwoman Cynthia Hedge- Morrell, NORD Director Vic Richards and of course Dr. Barbara Barlow. The NORD Marching Band made its debut at the event. 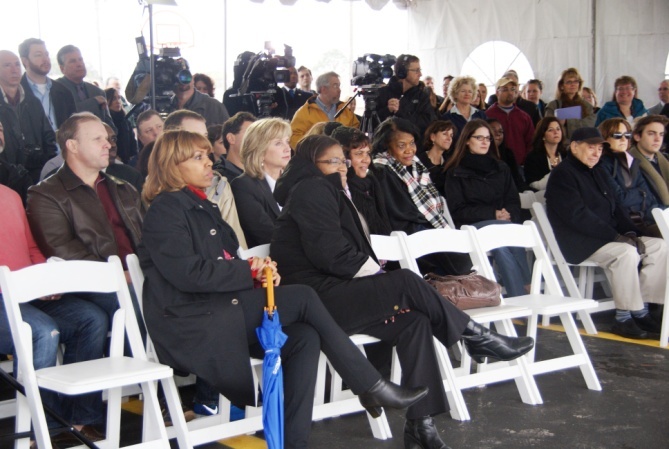 In addition to reducing injuries by providing Safe Places for children to play, the Injury Free Coalition for Kids community building process is designed to invigorate community spirit and revitalize the neighborhood leaving a safe and vital community which emphasizes tolerance, inclusion, diversity and economic empowerment.